Description: 150mm Mahogany Woodgrain Finish 9mm Cover 5m fascia board Plastic fascia to go on to timber Dimensions: 5m x 9mm x 150mm wide (internal size) .. Description: 175mm Mahogany Woodgrain Finish 9mm Cover 5m fascia board Plastic fascia to go on to timber Dimensions: 5m x 9mm x 175mm wide (internal size) .. Description: 200mm Mahogany Woodgrain Finish 9mm Cover 5m fascia board Plastic fascia to go on to timber Dimensions: 5m x 9mm x 200mm wide (internal size) .. Description: 225mm Mahogany Woodgrain Finish 9mm Cover 5m fascia board Plastic fascia to go on to timber Dimensions: 5m x 9mm x 225mm wide (internal size) .. Description: 250mm Mahogany Woodgrain Finish 9mm Cover 5m fascia board Plastic fascia to go on to timber Dimensions: 5m x 9mm x 250mm wide (internal size) .. 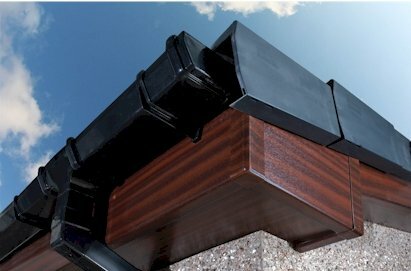 Product Length: 5m Accreditations: BSI Approved Guarantees: 10 Years Product Type: uPVC Mahogany Soffit J-Trim .. Description: 300mm Mahogany Woodgrain Finish 9mm Cover 5m fascia board Plastic fascia to go on to timber Dimensions: 5m x 9mm x 300mm wide (internal size) .. Description: 400mm Mahogany Woodgrain Finish 9mm Cover 5m fascia board Plastic fascia to go on to timber Dimensions: 5m x 9mm x 400mm wide (internal size) .. Description: 100mm Mahogany Woodgrain Finish 9mm General Purpose 5m Flat board / soffit Dimensions: 5m x 100mm x 9mm .. Description: Floplst 100mm Mahogany Woodgrain Finish 9mm General Multi Purpose 5m Flat board / soffit Dimensions: 5m x 100mm x 9mm .. Description: Floplast 150mm Mahogany Woodgrain Finish 9mm General Purpose 5m flat board / soffit Dimensions: 5m x 150mm x 9mm .. Description: 150mm Mahogany Woodgrain Finish 9mm General Purpose 5m flat board / soffit Dimensions: 5m x 150mm x 9mm .. Description: Floplast 175mm Mahogany Woodgrain Finish 9mm General Purpose 5m flat board / soffit Dimensions: 5m x 175mm x 9mm .. Description: 175mm Mahogany Woodgrain Finish 9mm General Purpose 5m flat board / soffit Dimensions: 5m x 175mm x 9mm .. Description: 200mm Mahogany Woodgrain Finish 9mm General Purpose 5m flat board / soffit Dimensions: 5m x 200mm x 9mm .. Description: Floplast 200mm Mahogany Woodgrain Finish 9mm General Purpose 5m flat board / soffit Dimensions: 5m x 200mm x 9mm .. Description: 225mm Mahogany Woodgrain Finish 9mm General Purpose 5m flat board / soffit Dimensions: 5m x 225mm x 9mm .. Description: Floplast 225mm Mahogany Woodgrain Finish 9mm General Purpose 5m flat board / soffit Dimensions: 5m x 225mm x 9mm .. Description: 250mm Mahogany Woodgrain Finish 9mm General Purpose 5m flat board / soffit Dimensions: 5m x 250mm x 9mm .. Description: Floplast 250mm Mahogany Woodgrain Finish 9mm General Purpose 5m flat board / soffit Dimensions: 5m x 250mm x 9mm .. Description: 300mm Mahogany Woodgrain Finish 9mm General Purpose 5m flat board / soffit Dimensions: 5m x 300mm x 9mm .. Description: 400mm Mahogany Woodgrain Finish 9mm General Purpose 5m flat board / soffit Dimensions: 5m x 400mm x 9mm .. Description: Mahogany Woodgrain finish 5m H-Section ..
Silicone 700T is a fast, neutral cure, low modulus sealant specially formulated for the PVCu and roofline industry. For perimeter pointing window and door frames, sealing plastic roofline areas and general weathersealing. Now contains a powerful anti-fungal compound. Colour: Mahogany ..